The 2014 Winter Olympics in Sochi are almost here. 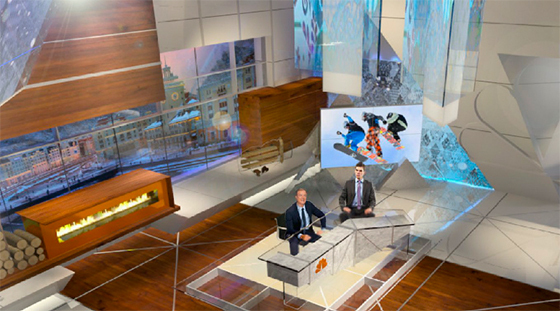 This year, NBC is taking its coverage in a new direction with a studio by Clickspring Design. NewscastStudio has exclusively received the rendering above that depicts NBC Studio B in the International Broadcasting Centre from an NBC source. In August, NBC Olympics EP Jim Bell tweeted a photo of a set under construction at blackwalnut. The set above appears to be different from the set shown in Bell’s picture, which is likely a peek at NBC Studio A. 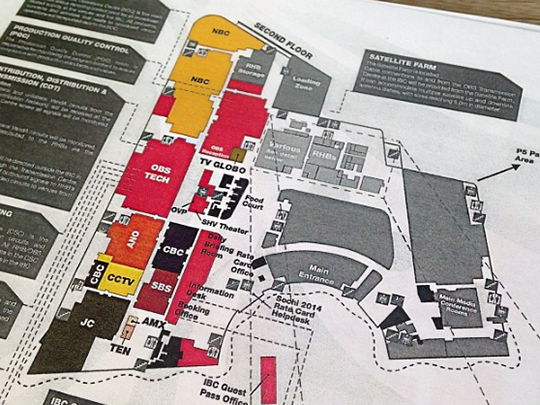 In this map of the International Broadcasting Centre, you’ll see NBC has the largest footprint of national broadcasters, followed by CCTV and CBC. Stay with NewscastStudio for complete Olympics coverage next month.